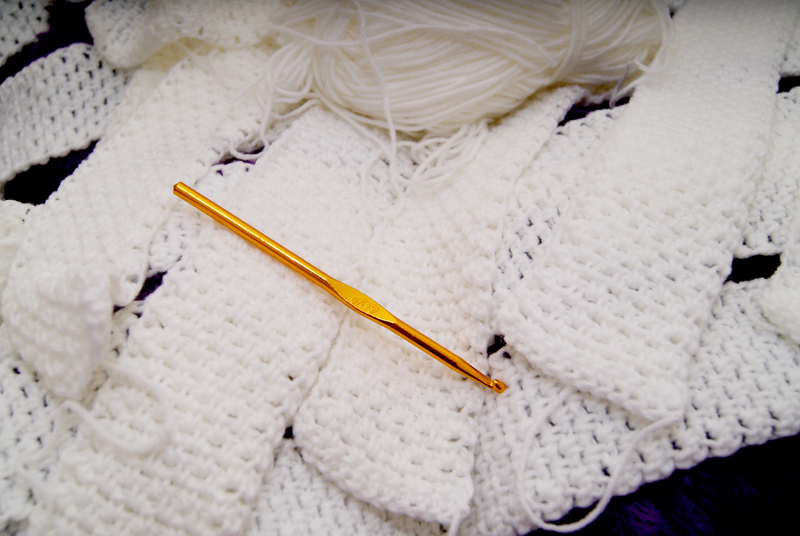 Yarn Works – Current Projects – What am I working on? It’s a question I’ve been fielding a lot lately. “What else are you working on?” I actually hear it all the time. Because while people love to see photos, they can’t necessarily buy them or afford them at that time. But when it comes to jewelry and/or crochet… there’s usually something they can afford. Like a lot of people out there I am addicted to Pinterest. I love clicking through there and finding new ideas. While a lot of the time I can find a specific pattern for a crochet project, sometimes I’m just out of luck. I crochet. I know some people who can both crochet and knit, but I am unfortunately not one of them. I’ll admit this flaw… I just can’t get my brain wrapped around knitting. It’s pretty and there are some gorgeous patterns that I seriously wish I could do. But no matter how hard I try, I just can’t get my hands to work the right way when it comes to knitting. So, I tend to save those pins for inspiration. 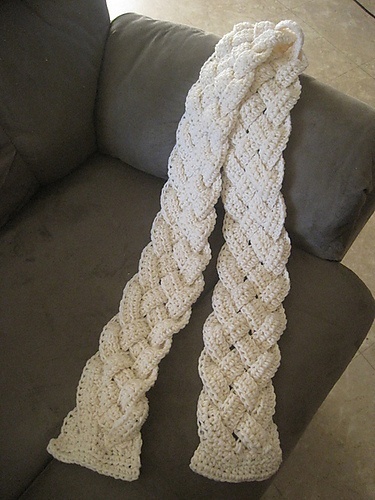 Below are two inspiration pins of mine… the first one (the scarf) is actually a crochet pin. 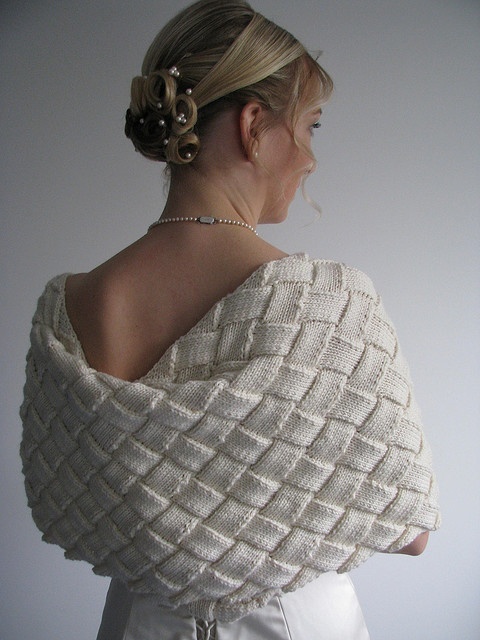 While I might one day make a scarf like this, I really was interested in the weaving part of it. The second pin is what caught my interest.